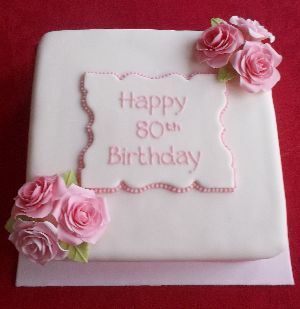 80th birthday cake ideas put the icing on your celebration in a sweet way. 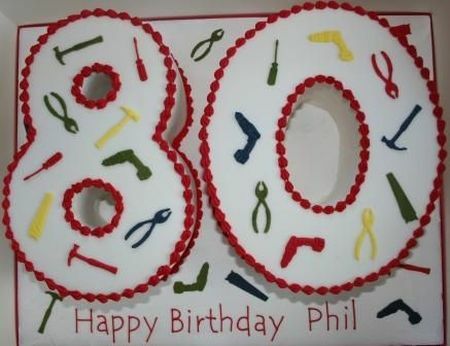 The cake for this milestone birthday must be as exciting and unique as the occasion, so take some extra time to plan. All eyes are on the cake as the Honoree blows out the candles and the guests sing Happy Birthday. This grand moment becomes even more special with a delicious combination of taste and attention to the theme. Personalize the cake to your Honoree. 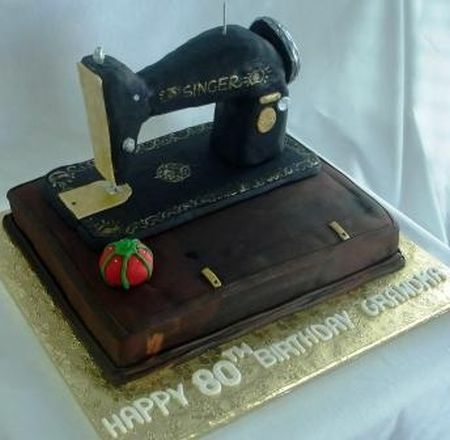 Your job as the host is to be sure this special cake is a reflection of the guest of honor. 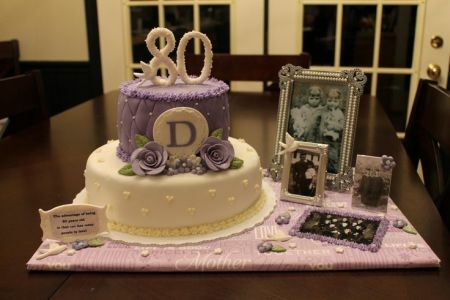 Consider putting the Honoree's picture on top of the cake, a favorite flower, hobby or cake topper should put the biggest smile on everyone's face. 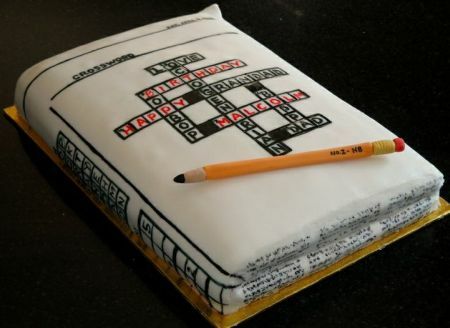 Customize the taste of the cake. 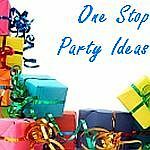 The first choice would be the favorite cake of the birthday Honoree. For instance, if the Honoree loves chocolate cake, make a special effort to order or prepare a chocolate lover's dream cake. 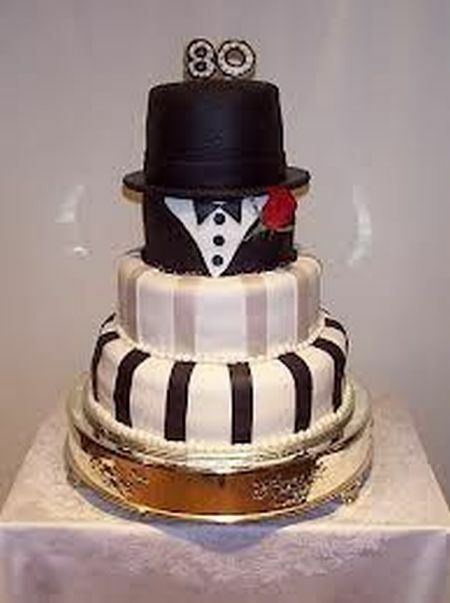 Or consider using different flavored layers to make an incredibly impressive cake presentation. 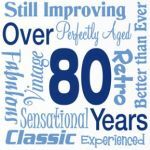 Eighty years of tinkering. 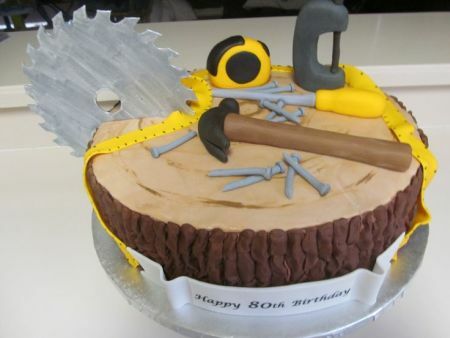 Tools of the trade make this an ideal cake for the handyman. The cutest cake I ever saw. 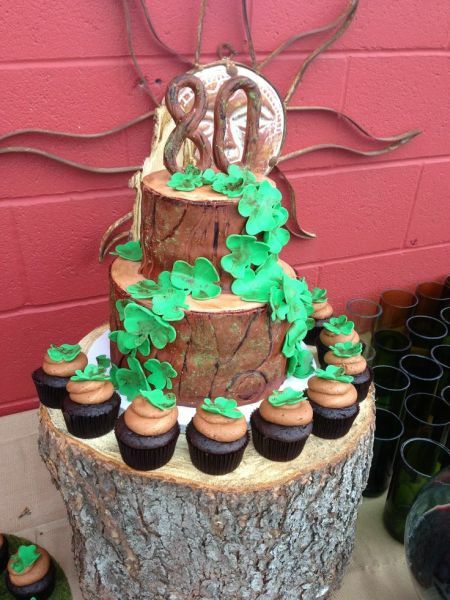 This cake really nailed the Honoree's personality. 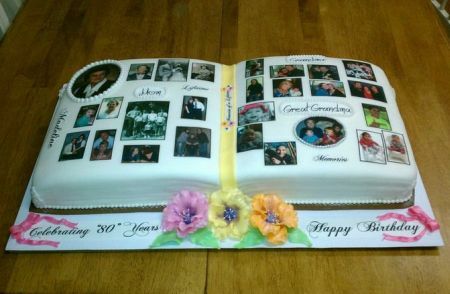 Cake genealogy. 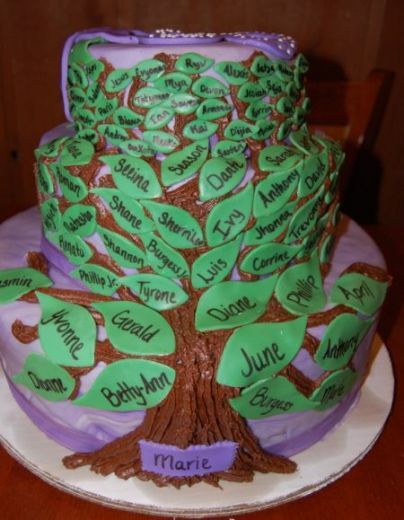 Display your family tree for all to see for this milestone birthday. Fore the golf lover. 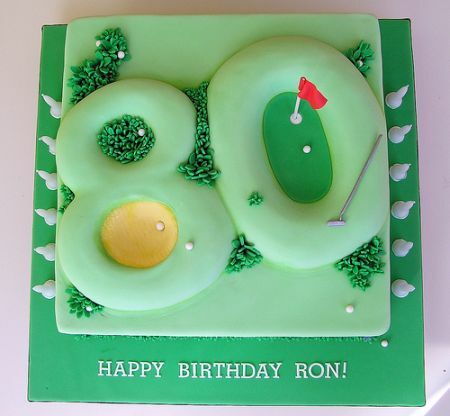 This cake is right on the green for your 80th birthday celebration. Have your guests in stitches. Sew unique and sew nostalgic. This open book is full of precious memories. 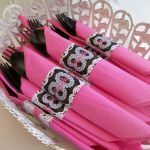 No matter how you slice it your guests will leave smiling. What's a four letter word that means Happy Birthday? Answer: Cake. 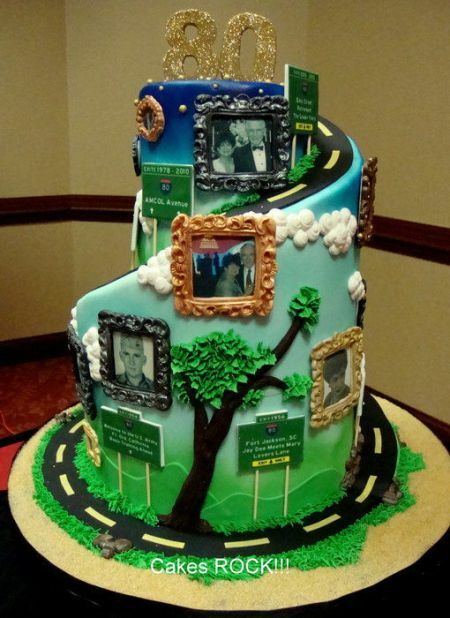 "Road of Life" chronicled in cake. A delicious way to tell the Honoree's life in pictures. 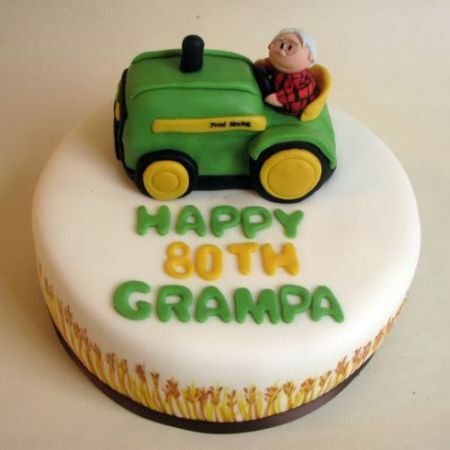 Nothing runs like a Deere and Grampa on his eightieth birthday. 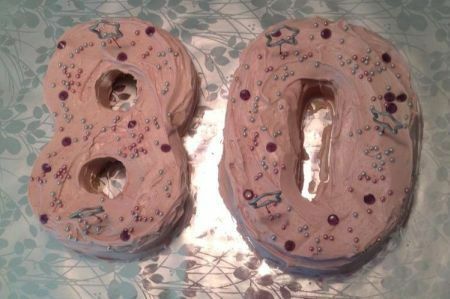 Your guests will enjoy plowing into this cake. 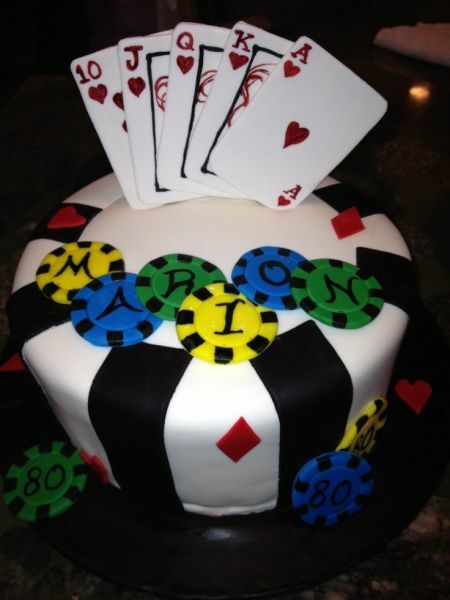 Some birthday cakes are most successful when built around the theme. This one does just that. Pull out all the stops. 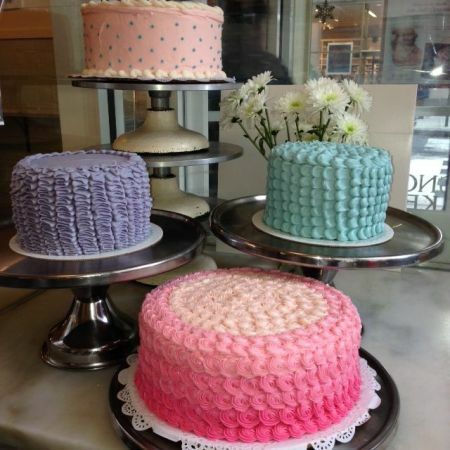 Make 8 different cakes and display as a group to impress your guests. 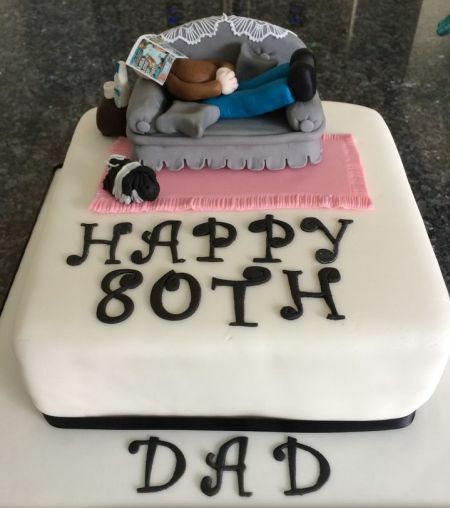 Have the great cooks in the family make their signature cake or order cakes of different flavors and colors to steal the show. Combine unselfishness, patience, wisdom and humor. 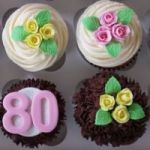 Stir in great 80th birthday cake ideas. Add forgiveness and good nature for flavor. Sprinkle with memories and smiles. Bake with love. Serve often with complete faith in God. Success guaranteed.